Hey guys!! Hope you are all well! 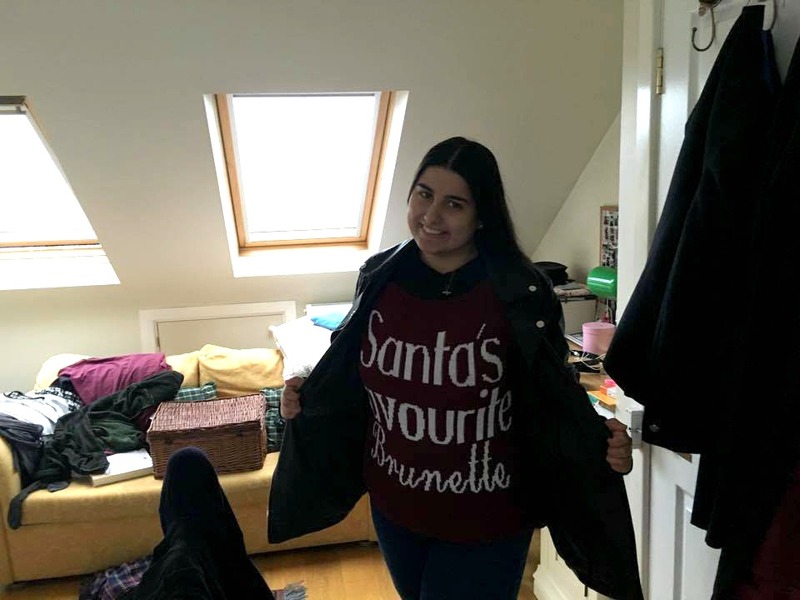 Today is a very different post from me and I guess you could say it's the first one of my Christmas posts for this festive season! How incredible exciting. Christmas is one of my favorite times of year. I absolutely love it. However this year I'm sadly working throughout the whole of the Christmas period which saddens me a lot. However writing this post is definitely going to get me in the festive mood. Keep reading to find out more. 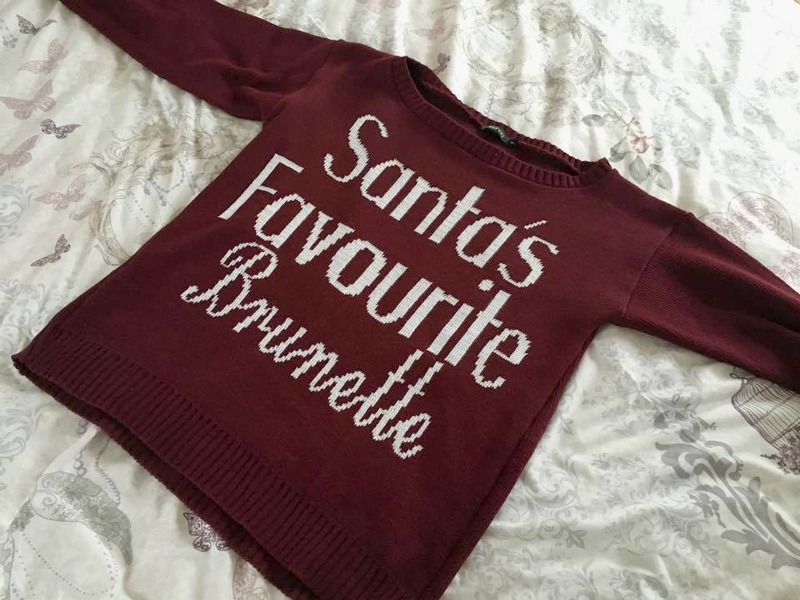 In the past couple of years or so Christmas Jumpers have become increasingly more popular. Last year every instagram shot was a Christmas jumper shot. I love Christmas jumpers too and think they are absolutely amazing. Not only are they incredible festive but they are also incredibly stylish and will suit virtually anyone as well as going with anything in your wardrobe too! So I was extremely excited when the lovely Boohoo got in touch and asked me to pick a Christmas jumper. This was a very difficult choice however I chose to opt for something that wasn't only festive but something I could wear long after Christmas throughout the entire winter period. You all know how much I love burgundy and as I'm a brunette too this jumper was just made for me! I love the style and the fit and I think it will look absolutely amazing over the top of collared shirts however it also looks incredibly stylish on it's own as well. So now the point of this post? Well these christmas jumpers are part of their #WeAreFamily campaign. Be sure to watch the advert above if you haven't yet checked it out. I absolutely love it and the song is definitely one of my favorites. I absolutely love it. Christmas is definitely family time. But what exactly does family mean to me? Family are the people in your life who are there to support and encourage you and help you through the good and bad times through your life. They are the people who have been with you since before you entered this world. They have seen you grow up and have seen you at your worst and best and have helped you grow into the person you are today. Whenever life gets a little hard or tough then you know your family are always there for you as their love is unconditional and they will always be there for you even though they may drive you crazy at times and I think Christmas is the perfect time to say thank you and appreciate all that they have done for you. However, I also think friends are important part as well. I have a few friends in my life who I would definitely consider as family as they have been there for me through the times when my actual family were not there. They have also seen me at my worst and have helped encourage me and support me and also been there for me through the tough times and are the people to tell me when I'm about to make a silly mistake. I think it's so important again to surround yourself with friends this time of year to say thank you. Now onto the blogging community. Some bloggers I've been speaking to and following for years. Some of them I would definitely call friends. I'm not want to really rant on twitter or post things as I do try to keep it positive however when I do the blogging community always send out such lovely, encouraging and inspiring tweets which help encourage and pick me up and put me in a better mood which I think it so important. The blogging community is a little family within itself, always supporting and encouraging one another and I think that's so lovely. Since I've been blogging I've met the loveliest girls and guys and I'm so grateful to have these people in my life. I'll end this post here by saying thank you to Boohoo for letting me be a part of this campaign and just a thank you to all my family and friends as well as you in the blogging community who are reading this. With everything that has gone on in the world lately I'm holding on to my family and friends just that little bit closer this Christmas as without them I would be nowhere today and I encourage you all to do the same. Despite arguments and tantrums we have with various people in our lives the love we have is always unconditional. What does family mean to you this Christmas?